For a garden-themed party, pre-made Farm to Table White Centerpieces are a wedding must have. 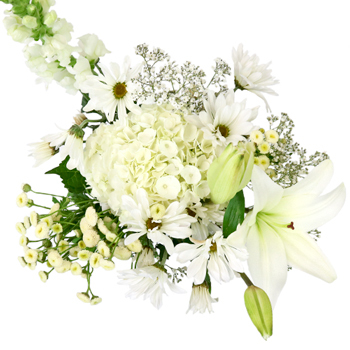 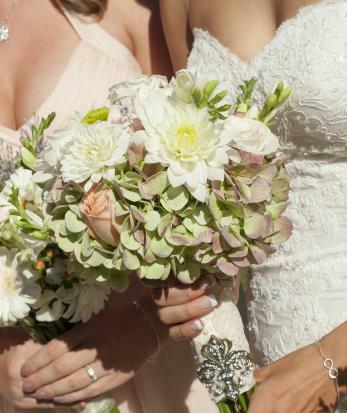 These hand picked arrangements feature seasonal ivory white blooms and sprigs of fresh greenery that boast texture and romance. 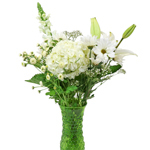 Head Farmer Joe cuts to order and ships directly to your doorstep for the freshest blooms possible. 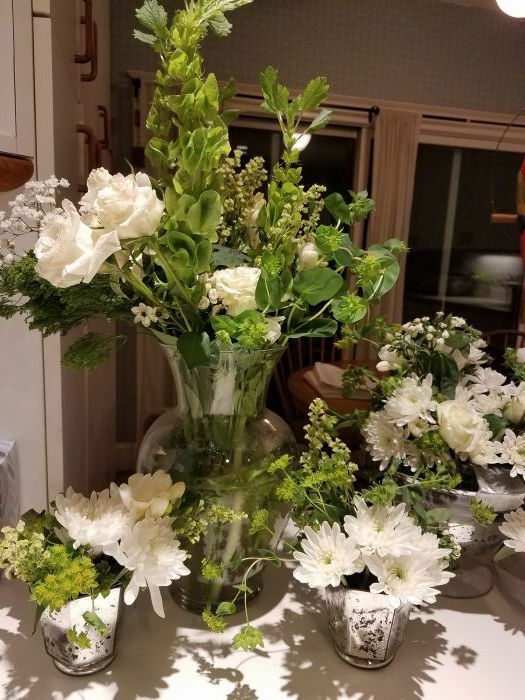 Simple cut and place the blooms in vases or add in more volume by arranging with other FiftyFlowers blooms like spray roses, thistle, and asters –perfect for bridal bouquets or ceremony centerpieces.